MUMBAI, INDIA - 12 JANUARY 2015: Indian men at weaving factory in Mumbai. MUMBAI, INDIA - 12 JANUARY 2015: Indian man sorting textile in textile factory in Mumbai. 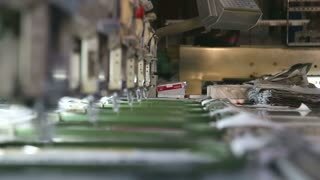 Boy sewing clothes on a machine in Mumbai. 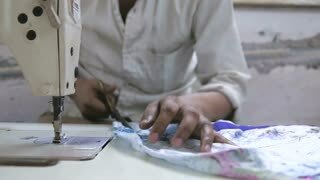 MUMBAI, INDIA - 12 JANUARY 2015: Indian man marking textile in textile factory in Mumbai. 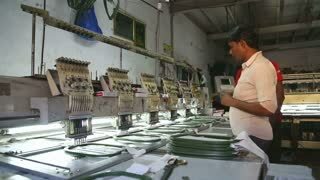 MUMBAI, INDIA - 12 JANUARY 2015: Indian man cutting textile in textile factory in Mumbai. 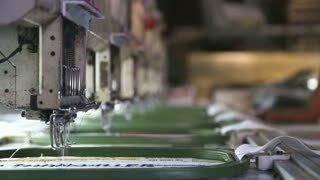 MUMBAI, INDIA - 12 JANUARY 2015: Boy sewing clothes on a machine in Mumbai. 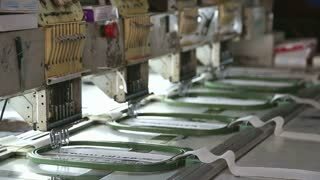 View on machine weaving decorations on fabric in a factory in Mumbai. 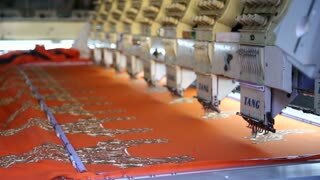 View on weaving machine in a factory in Mumbai. MUMBAI, INDIA - 12 JANUARY 2015: Indian men at weaving factory in Mumbai, close up. 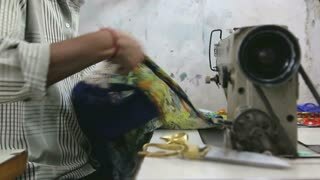 Boy cutting clothes for sewing in workshop in Mumbai.